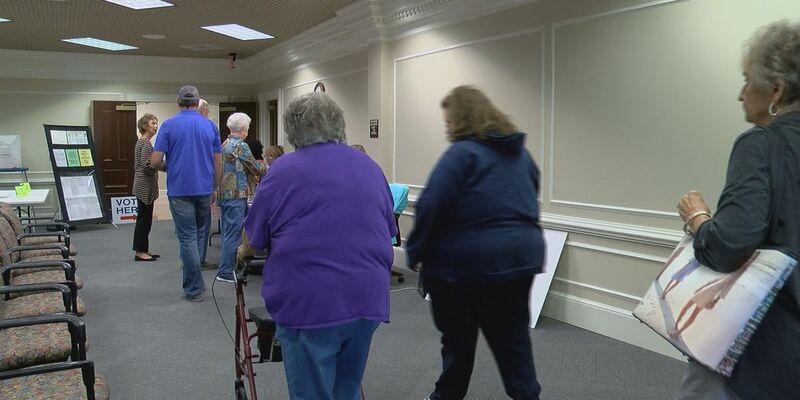 Residents in Colquitt County show up to vote early. COLQUITT CO., GA (WALB) - Just one week into early voting for the general election and many residents across Southwest Georgia are heading to the polls. More than 1,700 people voted already, and that’s just in Colquitt County. Statewide, nearly six-percent of Georgia’s registered voters have cast a ballot for the general election. On Monday, residents lined up at the Colquitt County Court House Annex, eager to cast their vote. Kelly Paulauski said he feels encouraged by the amount of people who already voted and said that this is the best time to get out and vote. “It’s so much easier than the last day. People forget, employers may not let them off. But here, you got all the time in the world," said Paulauski. Paulauski brought four friends with him Monday, in hopes others will do the same. If you’re looking to vote at the Court House Annex site in Moultrie, it’s open from 8 a.m. until 4:30 p.m. Monday through Friday. And mandatory Saturday voting for the November General Election will be this weekend.